In this installment of Eat Your Food! from our writer Nick Evans, he feeds his kids Ginger-Soy Steamed Salmon with Spicy Maple Sauce. Regardless of whether you have tiny mouths to feed, this cooks quickly in a steamer basket and makes for a well-rounded, flavorful dinner. Sometimes the most important element of dinner with kids is to put on a show. This recipe is great because it introduces kids to what can be a tough protein—salmon—but it also shows them a fun piece of kitchen equipment that they may not see often: a bamboo steamer! BE AMAZED! My kids are used to me cooking dinner in pots and pans, so they were very intrigued when I busted out a wooden cylinder and started putting food in it. (“Will there be a fire?” “Can we call the Fire Department?”) You also get the added benefit of giving them a physics lesson (Water=> Steam=> HOT!). The result is a meal that is surprisingly easy to make. You just toss the stuff in the steamer, season it, steam it, and dinner is done in about 15 minutes. Serve the fish and veggies with your favorite steamed rice. In my experience, the best way to develop well-rounded eaters is to just expose kids to a variety of flavors over and over and over again. This teaches them that there are not any terrible consequences to trying something new and it gives their palate a chance to learn to love new flavors. Or eventually reject them randomly outright, as kids are wont to do. So, salmon is tough. After all, it has an actual flavor and when many kids think of fish, they are most likely familiar with fish sticks, which are very mild. There are more approachable fish varieties that you could use here, but salmon is also delicious and I love it, so I’ll be damned if I don’t cook with it because I’m afraid my kids won’t eat it. Skip ahead to the report card to find out if they ate it on this particular day! 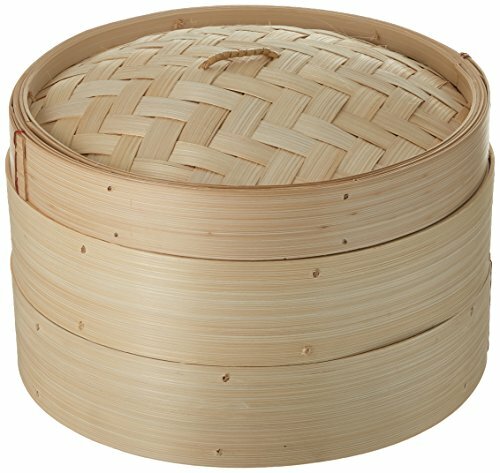 If you don’t have a bamboo steamer, you should look into it. 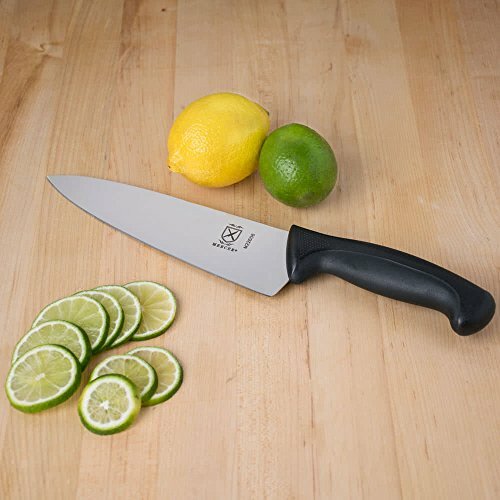 It’s a relatively cheap kitchen tool and you can cook a wide variety of things in it. There are a couple of tricks: make sure you season the food well, for starters. You must put the food that needs more heat on the bottom (in this case the veggies), and the food that needs more gentle heat on the top (salmon). No Steamer? If you don’t have a steamer, you can absolutely roast this dinner as well. I would roast the bok choy and red pepper first for 5 minutes tossed with a little olive oil at 400°F. Then add the salmon to the sheet pan and continue to roast until it’s just cooked through, maybe 10-12 minutes, depending on thickness of the salmon. The DAD ADD: Spicy Maple Sauce! This is your new favorite sauce. Trust me. It’s only four ingredients and cooks down in a few minutes. I love it on salmon, which can hold up to its big flavors. It would overpower less meaty fish varieties. This is how this meal went, which I tried to capture in the photograph above. My son immediately tried the fish! WIN! My daughter immediately wondered why I was on the other side of the table and climbed over to me, knocking over plates and whatever was in her way. After settling down, I noticed there was some fish missing from her plate and asked her if she had tried it. It turns out she had tried, a few minutes ago, and it was still in her mouth. She spit it out, which made my son laugh. Hilarity ensued. But, they tried the fish, they tried the bok choy, they ate a metric ton of buttered rice. Gummy worms were eaten for dessert. I’ll take it. 1 Prep the salmon: If you have a large side of salmon, cut it into 4-ounce to 6-ounce portions and remove the pin bones using tweezers. (You can also ask your fishmonger to remove them if he or she is a good one.) Season the fish with salt and pepper. 2 Assemble the ingredients in the steamer: Take some of the larger bok choy leaves and place them on the top tray of the bamboo steamer. Set the salmon filets on the leaves, skin side down, and place sliced ginger and lemon on top. 3 Add the rest of the veggies: In the bottom steamer tray, add the rest of the bok choy leaves (chopped roughly) and a sliced red pepper. Sprinkle a tablespoon of soy sauce over the veggies. 4 Steam the salmon: Stack the steamer baskets on top of each other. The the basket with veggies should be on bottom with the salmon basket should be on top, and then add the bamboo lid. You are ready to steam! Bring a pot of water to boil and place the steamer tray over the pot. The steamer should sit on top of the pot and overlap slightly. It should not fit inside the pot. Steam the fish and veggies for 16 to 20 minutes. That should be enough to cook the fish through and tenderize the veggies without making them mushy. Check the fish to make sure it's cooked through (it will flake easily with a fork) and continue steaming if needed. 5 Make the spicy maple sauce: In a small saucepan, combine all the ingredients. Bring to a simmer and turn heat down to low. Simmer for 4 to 5 minutes, stirring occasionally, until the sauce coats the back of a spoon. Watch it closely as it can boil over. Remove and let cool and it will continue to thicken as it cools. 6 Cool slightly before serving: Remove the steaming tray using oven mitts (it will be very hot). Let cool for a few minutes before serving. 7 Serve. Season with extra soy sauce, if desired, and sprinkle with sesame seeds as a garnish. Spoon Maple Sauce over the top of the fish, optionally. Serve with cooked rice. Hello! All photos and content are copyright protected. Please do not use our photos without prior written permission. If you wish to republish this recipe, please rewrite the recipe in your own unique words and link back to Ginger-Soy Steamed Salmon with Spicy Maple Sauce on Simply Recipes. Thank you! Great recipe! I left the red pepper out of the sauce, because we aren’t into spicy. It still tasted good, a nice blend of salty and sweet. We enjoyed this recipe. Recipe calls for skin-on salmon, but it is difficult to separate the salmon from the skin when serving or when eating as the salmon is cooked and served on a bed of bok-choy leaves. Next time I will consider removing the skin before cooking. I was concerned that my sesame seed oil didn’t not specify that it was ‘toasted’ as called for in the recipe, until I noticed that the description of the ingredients for the oil indicated that it was prepared from roasted sesame seeds. In any case, the sauce was delicious. This was my first time using a bamboo steamer and my first attempt at cooking salmon at home. This recipe is so easy and my 8 year old liked it too! Win! Can’t wait to make it again, thanks!